We here at the OCNA blog have done a tribute post to the late Steve Love, AKA Sven, and we of course post the weekly content of The GCDoc as guest posts on the blog. The Doc is a member of The Geocaching Network on YouTube, which has currently has 31 members, although I wouldn’t describe them all has highly active Vloggers, or all with 100% Geocaching content. We at the blog were first made aware of GeoPaul, another member of the network, from The UK, via him making himself known on Twitter via The Geocaching Twittersphere, even before he joined The Geocaching network. And he most certainly is a prolific Vlogger, with 100% Geocaching related content. Check out his entire YouTube channel here. GeoPaul recently released the first in a series of Geocaching tips videos, “What to take Geocaching”, and it can be viewed at the top of this blog post as an embed. 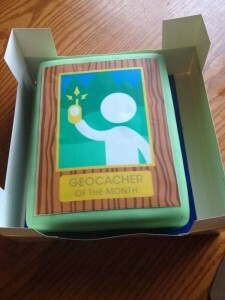 We thought that was a great idea, so we decided we could could help promote that series on the blog, and finally do an interview with a rising star in Geocaching Vlogosphere. OCNA Blog: The proverbial first question. Where are you from, how did you first hear about Geocaching, and when did you start? GeoPaul: Well I’m from a little town on the outskirts of London called Caterham. Caterham is a mixture of urban built up areas and rural surroundings which makes geocaching hides and finds all the more interesting. I found out about geocaching in 2011, I was working at a local radio station and was looking for a strange news feature that we had to broadcast, I came across a story that said “geocache blown up by police”. I read the article and then looked up what geocaching was all about, the next day I was out in the wild finding my first cache, ever since that day I’ve been hooked. OCNA Blog: You joined a short time before the tragic death of legendary Geocaching Vlogger Sven, also from England. Did you see any of his videos before you started making your own, and was he an influence on you? GeoPaul: Sven is a role model for me, his videos inspired me to put out more fun and interesting hides, and to start vlogging my finds. The guy is a legend! OCNA Blog: You made your first Geocaching video in January, 2013, and are on a pace to post well over one a week in the first year. Do you hope to keep up with that pace in the future? GeoPaul: Yes I’m hoping to carry this on for the foreseeable future, I do most of my caching at the weekends so I aim to get them edited by Tuesday and out by Wednesday. It is tough though as some days I wake up after a long week at work and just want to lye in while I can. But as a man with two young children knows that lye in will never exist. OCNA Blog: Although you are GeoPaul on YouTube, twitter, and Facebook, you are Dr Evil. on Geocaching.com. Why did you choose that name? I assume you wanted the name Dr. Evil, but it was unfortunately taken in 2003 by someone who never found or hid a cache. And their policy in such cases is that the name is “used”. GeoPaul: I originally used to go by the name PAULSAS, but after a few cachers called me Dr Evil after they found a few of my caches, especially my Ghostly Cache series, the name stuck with me. OCNA Blog: We’re featuring your first “Geocaching Tips” video here in this post. I assume there will be several more in this series in the future? GeoPaul: That is the first of many more to come, with each cache you learn more and in my exploration of extreme caches and the “regular” caches there is always something you need, be it a tool or knowledge. I may not be the most experienced cacher but I’d like to share my experiences and maybe even more experienced cachers may think “I didnt even think of that”, but its more to benefit beginners and guide them to become more experienced and think of things that they would not have done before. Here is one of the our favorite “Extreme” Geocaching videos by GeoPaul, 21st Century Schizoid Man (GC39k6T). Great cache name, the Blogger, being just slightly over 50, knows where it comes from. 🙂 And the video is just awesome. Sounds like it hurt. And note Paul does not give cache names and GC numbers, such as he did with the name of this video, without the cache owner’s permission. 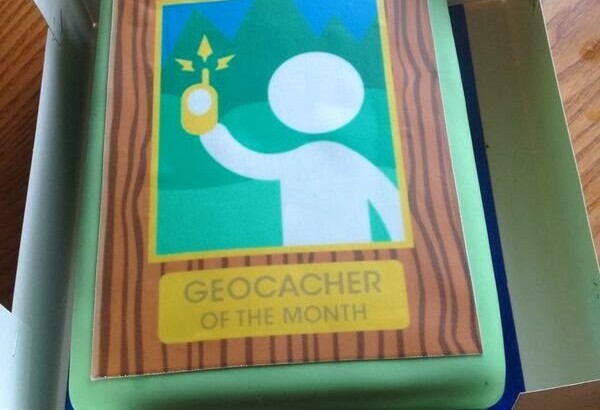 In Part 2 of our chat with Geopaul, amongst other things, he will discuss a highly prestigious award he recently received from a MAJOR Geocaching website!